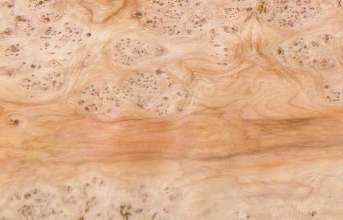 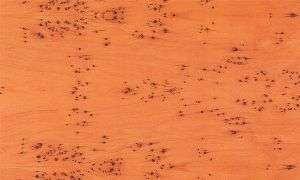 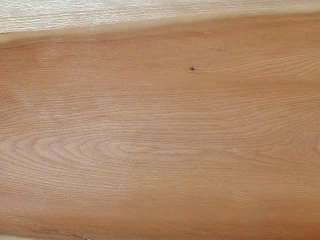 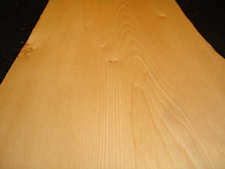 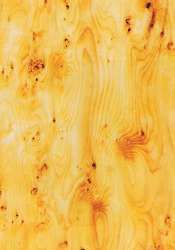 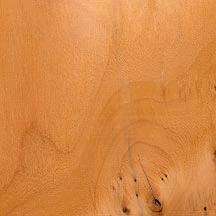 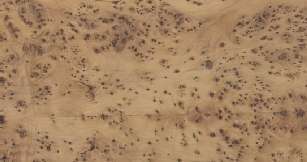 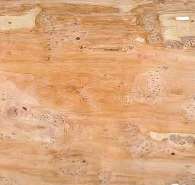 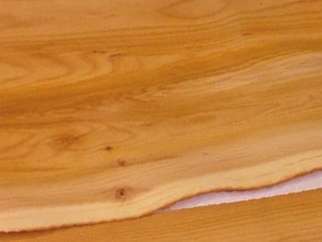 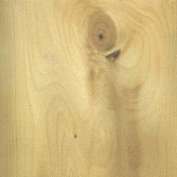 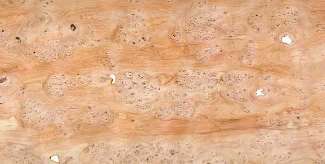 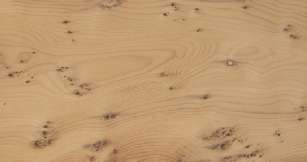 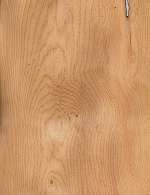 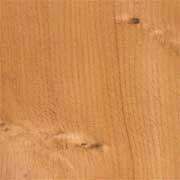 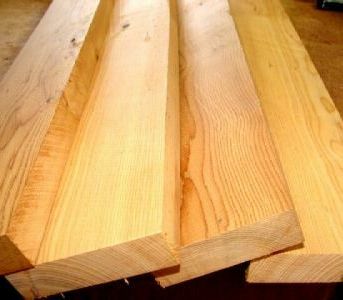 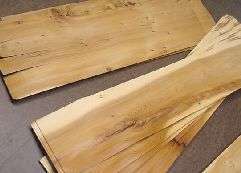 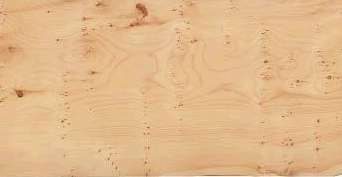 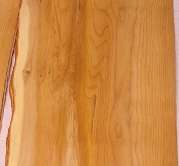 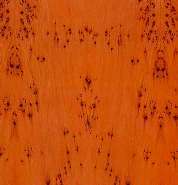 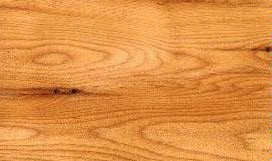 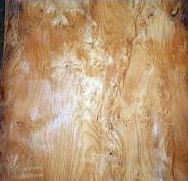 This attractive, golden-tan colored, intricately-grained softwood is quite hard and easily worked but the trees are small and large sizes of lumber are not available. 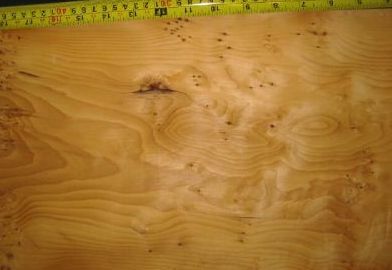 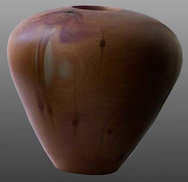 It is fine textured but rarely uniform, being more often interspersed with "pips" and streaks and flaws. 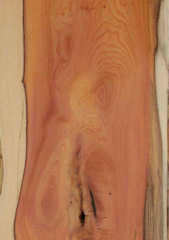 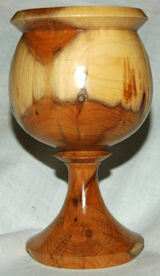 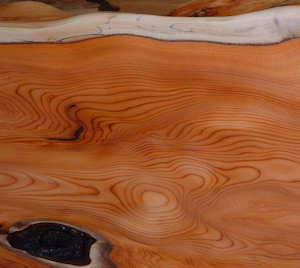 In addition to Europe and the Americas, there are yew varieties that grow in Asia as well. 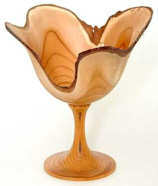 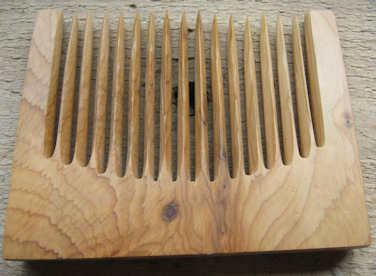 I'm not clear on what the distinctions are, if any, as far as craftsmen are concerned. 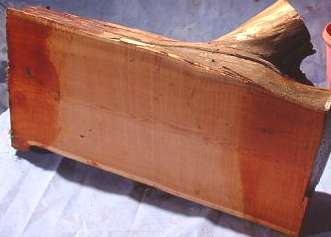 I have it anecdotally that the famous English longbow, long a staple of medieval warfare, was originally made of English (European) yew (Taxus baccata), but Spanish yew (also Taxus baccata but with somewhat different growing conditions) became more prevalent since it is actually better for bows (it grows straighter). 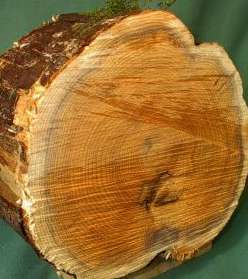 Yews are known to have reached 2000 years of age but older trees tend to become hollow inside. 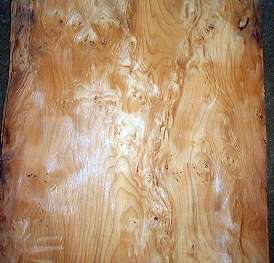 Depending on growing conditions and pruning tecniques, yews of the same species can be grown as either trees or bushes. 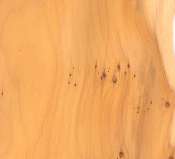 For example, many of the shaped shrubs in the USA are Pacific yew bushes (Taxus baccat) but that species can also be grown as a multi-trunk tree or even as a single-trunk tree. 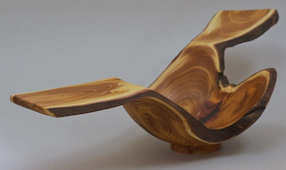 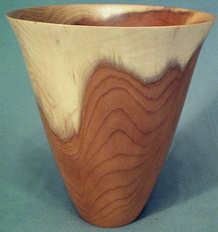 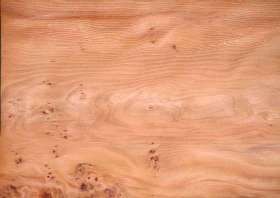 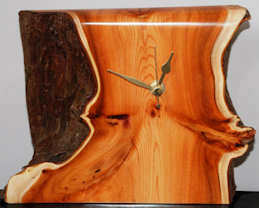 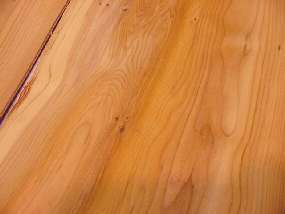 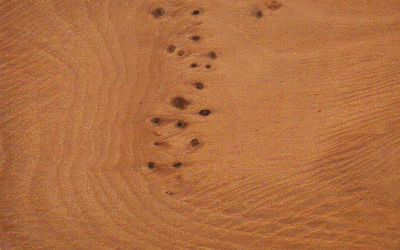 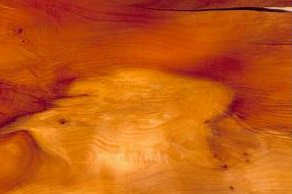 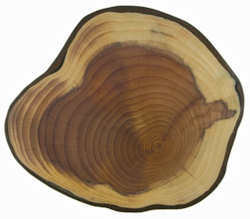 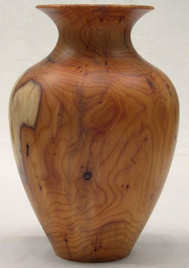 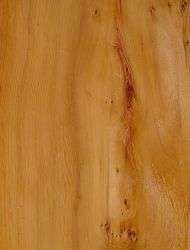 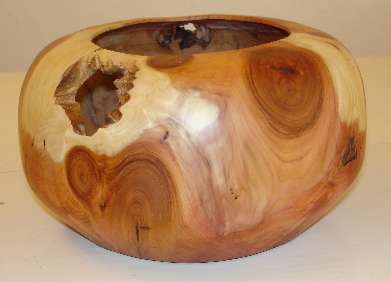 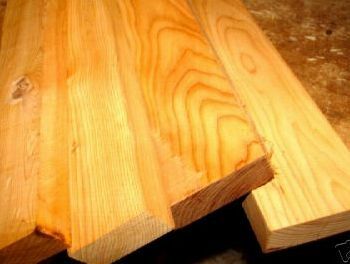 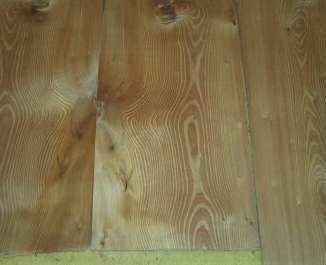 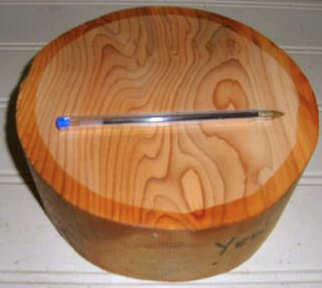 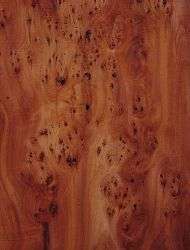 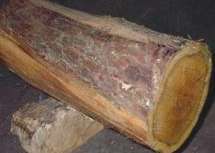 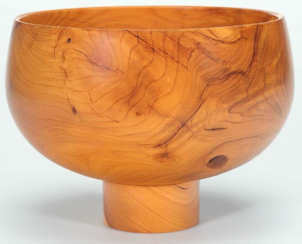 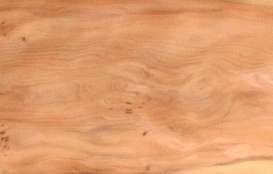 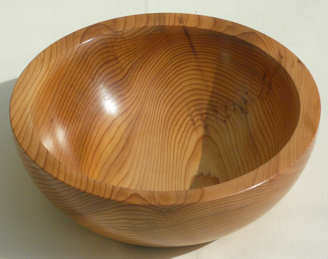 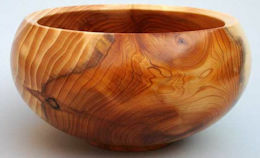 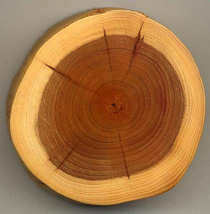 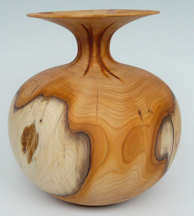 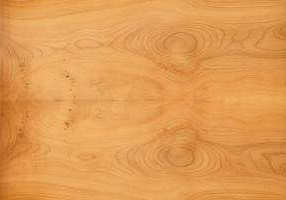 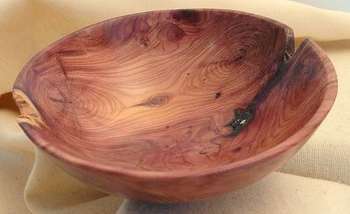 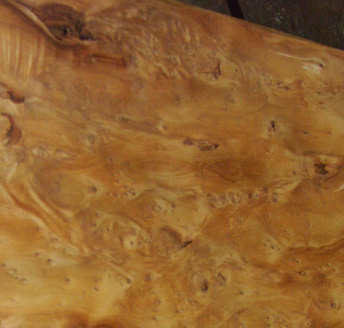 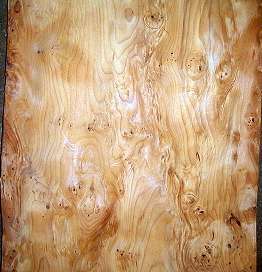 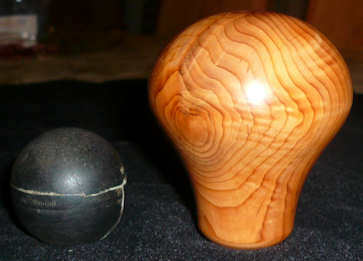 The only wood that I am aware of that could be confused with yew is some types of juniper which have very similar color and grain (but most types of juniper do not look like yew). 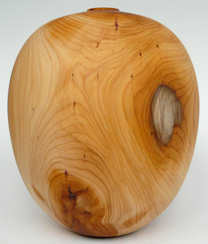 Cypress sometimes looks a bit like yew but I don't think they would be readily confused. 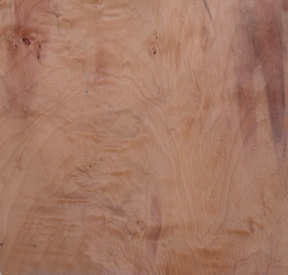 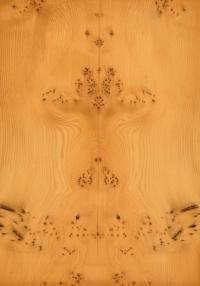 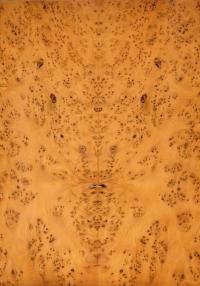 bookmatched veneer with unlikely color --- this is clearly pippy even though it wasn't listed as such. 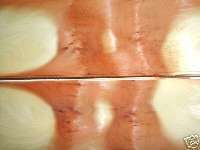 Interestingly enough, I found a second picture at a different vendor's site that is clearly the same picture rotated 90 degrees and with the color radically changed. 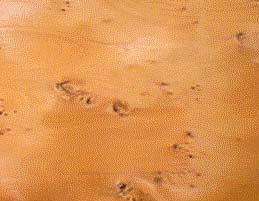 This is the kind of Internet nonsense that got me started on this site in the first place.